ISTANBUL: An air strike by Turkish warplanes “neutralised” at least 12 militants of the outlawed Kurdistan Workers Party (PKK) in northern Iraq, the military said on Twitter on Wednesday. 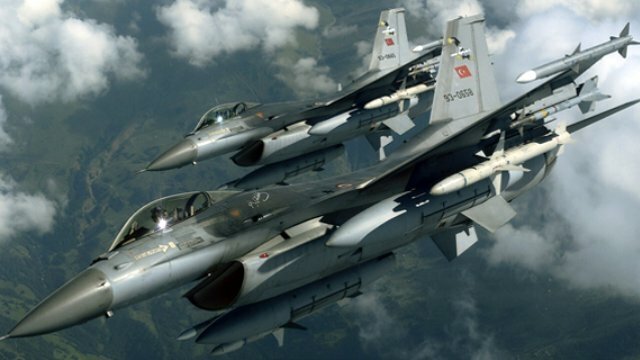 The air strike carried out on Tuesday targeted the Hakurk region of northern Iraq, the Turkish military said adding that the militants were believed to be in preparations for an attack. “12 armed members of the separatist terror organisation, who were in preparations for an attack, were neutralised in northern Iraq/Hakurk by an air strike carried out on March 20,” the military said, using the term it applies to PKK. Turkey regularly carries out air strikes against PKK targets in northern Iraq, where the group is based in the Qandil mountains. The PKK, considered a terrorist organisation by the United States, the European Union and Turkey, has waged a three-decade insurgency in Turkey’s largely Kurdish southeast that has killed some 40,000 people.